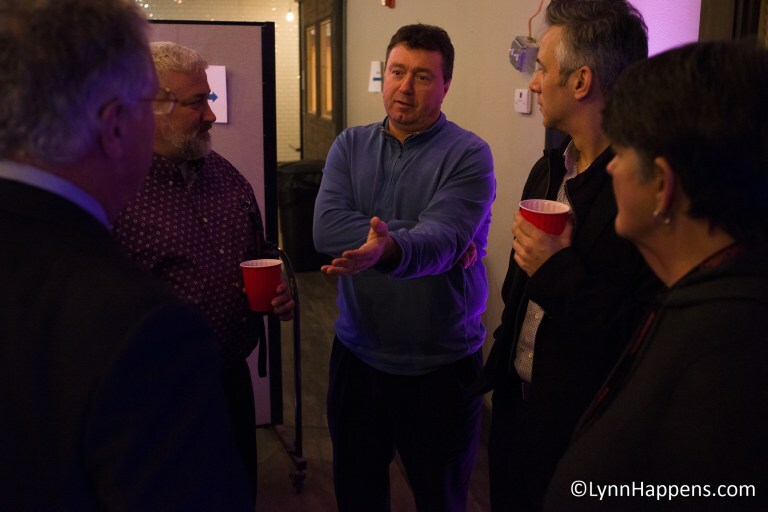 Centerboard hosted a celebration at their headquarters in City Hall Square Thursday night. With help from donors and through Patronicity and MassDevelopment, they are able to keep the lights on at High Rock Tower and complete the project by eventually lighting all sides. Allow for the tower to be used as a much-needed landmark, day or night, for finding your way around Lynn. The idea comes from local photographer Jason Taglieri, who pitched it to Centerboard. The lighting designer is Joey Nicotera of Retonica. Mayor McGee was there to praise the project and other local pols were present to join in the celebration. Keep your eyes on the tower!